One of my favorite conversations in the Roald Dahl book Charlie and the Chocolate Factory didn't make it into either movie. Willy Wonka brings his guests to a room with what he describes as square candies that look round. All of his guests correct him that the candies are actually square candies that look perfectly square from their perspective, but Wonka continues to insist they look round. Finally, determined to prove his point, he opens the door to the room and, as he does so, all the square candies on the table look round to see what is happening. They are square candies that look round. I love that scene, and it highlights a problem that often arises in important conversations, especially centering on issues in which we invest ourselves emotionally. We mean different things when saying the same words. These definition problems corrupt conversations to such an extent that the only way to move forward is to back up and clear up the confusion. In the last two years I know of at least three different pro-choice advocates in high profile exchanges that claimed that it is common knowledge that life doesn't begin at fertilization. All people educated in biology, so they say, understand that life is a continuum and there is no point at which we can definitively say “life began there.” The parents were alive, the gametes were alive, the zygote is alive, the embryo is alive, and on and on. How can pro-life advocates claim life began at fertilization when that event is surrounded by life? 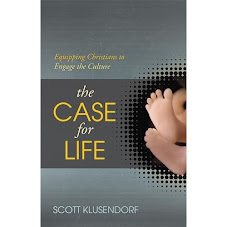 Others routinely object to the claim that life begins at fertilization because it is silly to attribute to a single celled organism or undifferentiated cellular mass the same status as a reasoning, feeling human being. Human life can't begin at fertilization unless you think that zygotes and embryos are like you and me. If all the parties involved are arguing in an honest spirit, which does happen, then we are very much like Willy Wonka and his guests arguing about the square candies that look round. What do we mean by looks round? What do we mean when we say life begins? We need to both ASK clarifying questions and OFFER clear definitions. Instead, we often plow ahead getting more and more frustrated that otherwise reasonable and moral people seem to be so blind to the strength of our positions. So we can concede that life begets life begets life without getting so confused that we can no longer see individuals. After all, Ryan Gosling and I are both living human beings that are products of life within a continuum of life, but few people would have trouble distinguishing us as individuals. In the same way, doctors like Malcolm Potts may argue that life exists in a continuum with no clear beginning, but he apparently had little trouble differentiating the mother from her unborn child when performing abortions or when affirming the autonomy rights of the former over the right to life of the latter. The people arguing that life can't begin at fertilization because we can't equate zygotes and adults are making a different kind of error. It is a simple category mistake. That human life exists and begins at fertilization is a matter of scientific observation. Anyone with a passing knowledge of genetics can affirm that adult Jay actually has quite a lot in common with zygote Jay. The organism that I am now began at that moment. The DNA that determined so much about the adult that I am was in place from the beginning and central to the self-coordinated development that moved me through all the subsequent stages of growth. Who I am today is a product of who I was then and the sum total of environmental influences I have encountered. But that isn't what they usually mean. They are claiming that embryonic life lacks some deeper meaning or value. Since it is obvious to everyone, so they say, that all the aspects that make life valuable are absent in nascent human life then it is clear that valuable human life can't begin at fertilization. This is a philosophical claim. Our claim is an appeal to science. We need to be equipped to help them see the difference. When the life of an individual human organism begins is a question of science. If they wish to claim that morally meaningful human life is differentiated from biological human life then they need to be prepared to offer philosophical arguments to that point. We also bear the responsibility of defending our philosophical position that human life has value by virtue of what it is, not what it can do or offer society. All of these arguments are philosophical and are of a different category than the question of when life begins. Sometimes we just mean different things when saying that same thing. It is our job to clear these points up with clear definitions and not be swept up by our passions into an argument corrupted from the outset by misunderstanding. That way, we are not like Willy Wonka trying to convince a group of people that candies that clearly look like squares look round. In his article "The Ethics of Ectopic Pregnancy: A Critical Reconsideration of Salpingostomy and Methotrexate," Christopher Kaczor speaks to the debate on the moral permissibility of treatments for tubal pregnancies. Don't stop reading just because of the medical jargon — Kaczor's arguments are easy to follow and critical to the current conversation. The following is a summary. An ectopic pregnancy is one in which the embryo implants somewhere other than the uterus, usually in the mother's Fallopian tube. Because of space limitation, the embryo will not fully develop inside the tube and, if the pregnancy continues untreated, will cause the tube to burst. This leads to internal bleeding that could, without immediate medical treatment, kill the mother. The dilemma we face is a situation in which two lives are threatened. Since we don't have a medically consistent way (yet!) to transplant to embryo to the uterus where it can safely develop, the embryo's future is bleak. It cannot develop fully where it is. The greater moral good in this situation is to save one human life — the mother's — rather than lose two. 2) Salpingectomy, or the removal of the entire Fallopian tube with the embryo inside, which foreseeably but unintentionally causes the death of the embryo. The words "foreseeably" and "unintentionally" are key to the conversation (the principle of double-effect). Either treatment is considered morally permissible — and in many Catholic circles, may be considered the only options — but Kaczor offers valuable insight on a third and (possibly) a fourth option. Salpingostomy is a procedure that involves the removal of the embryo alone from the Fallopian tube. Objections to this procedure include the certain fatality of the embryo, as well as the idea that "simply removing" the embryo is the same as "simply killing" someone by beheading. Also, many object on grounds that Salpingostomy violates Directives 36 and 45 of the Ethical and Religious Directives for Catholic Health Care Services (see below). As for the certain fatality of the embryo, the removal of the entire tube fares no better. Speaking like a true ethicist, Kaczor makes the case that the certainty of an effect doesn't necessarily mean that the effect was intended. Besides, Kaczor writes, there are documented cases (albeit few) such as L. Shuttles in the American Journal of Obstetricians and Gynecology in which an embryo has been successfully transplanted in the uterus. Thus, we see that though no standard procedure has been developed to date, it is possible. It could be argued that removal of the embryo from a location where it will certainly die (in the tube, where it cannot develop fully) to a location where it is at least possible for it to be transplanted is prima facie better for the embryo. Similarly, acting upon the embryo directly (rather than removing its environment) doesn't necessarily mean that all effects of doing so are intended. Kaczor cites Thomas Aquinas' thoughts on the moral permissibility of acting in self-defense as grounds for showing that it is possible to act on the body of another (even damaging that body) without intending the results. Lastly, the wording of Directives 36 and 45, if interpreted literally, not only forbid a treatment like Salpingostomy — they also forbid transplantation of the embryo to a safe location — if and when it becomes possible — which would result in the safety and survival of both the embryo and the mother! The directives are better understood as applicable to uterine pregnancies, not tubal pregnancies, Kaczor concludes. Kaczor also addresses treatment by use of Methotrexate (MXT), a drug that inhibits cellular reproduction in fast-growing tissue. MXT is used to treat certain kinds of cancers and, in the case of ectopic pregnancy, is believed to be effective in halting the growth of the trophoblast (which can continue even after the embryo spontaneously dies) into the wall of the Fallopian tube. If no fetal heartbeat is detected, its use is not problematic and results in less intrusion and shorter recovery time for the mother. While Kaczor stands his ground by reminding readers "Neither the certainty of the effect nor the acting upon the body of another entails that a lethal effect which follows from the action must be intended," he does note that there are unknowns when it comes to MXT, such as whether or not MXT quickens the embryo's death. Given the lack of information about the way the drug works, he leaves the conversation on MXT open and urges that it remain so until more information is available. Cases involving ectopic pregnancy call for a different kind of conversation than cases of elective abortion. And while all conversations involving human life should be handled carefully and compassionately, it is especially true for these. Women who are given this diagnosis often face a tremendous emotional trial as well as doubting questions on whether treatment is morally okay. Any treatment (save the extreme rarity of successful transplantation) or lack thereof will involve the death of a human being. We who communicate about these things mustn't forget that. When individuals ask about cases in which the mother's life is at risk like ectopic pregnancy, I bring up the analogy of a medic on a battlefield with two gravely wounded soldiers before him. He can choose to do nothing and lose two lives, or he can choose to save one. The medic's choice, like the doctor's procedure, does not undermine the humanity and value of the life lost. It is tragic, and the result of living in a broken world. I think that when treatment is necessary in cases of ectopic pregnancy, Salpingostomy, or removal of the embryo alone, is the better option. It — unlike Salpingectomy, which holds the same outcome for the embryo — preserves the mother's Fallopian tube and fertility. Kaczor's reasoning is sound. Note: The following are excerpts referred to by Kaczor. Directive 45: "...every procedure whose sole immediate effect is termination of pregnancy before viability is an abortion." Directive 36: "It is not permissible, however, to initiate or to recommend treatments that have as their purpose or direct effect the removal, destruction, or interference with the implantation of a fertilized ovum." A pastor and his family in a small village in the mountains of Java opened his home to our mission team. Bule, white people, rarely visited this town; in fact, we were told only one other team of bule missionaries, from Germany, had ever spent time in this village at all. The families lived in modest homes with little inside, but they did own cattle among other things that they kept in stables connected to their houses. In most cases, the stables were simply a room like all others. As we sat at the table about to share in the bountiful meal they proudly set before us, the cows provided the background music with a continuous song of lowing. I would soon speak at a gospel rally to hundreds of people from villages throughout the area. At that moment, we feasted in a humble home with cows and livestock in the next room. As a Christian, I believe that the God of the universe, the creator and sustainer of all, entered the world as a baby through a young virgin girl named Mary. It is a remarkable story and as a former atheist I understand how utterly unbelievable the story sounds to ears not accustomed to hearing it. That said, this post is not to defend the belief. It is actually to marvel at that first night. Those men I sat with woke up early in the morning to lead their livestock to a grassy area to graze. I realized that God chose as the witnesses and heralds of his great coming into this world men such as these: not kings or rulers, but odd humble people that know the love of God, their families, and their community. It was not a palace or castle, but a stable like theirs with animals and certainly all the odors that accompanied that place. They hurried off and found both Mary and Joseph, and the baby who was lying in the feeding trough. After seeing them, they reported the message they were told about this child, and all who heard it were amazed at what the shepherds said to them. But Mary was treasuring up all these things in her heart and meditating on them. As a result, we can come to him with all of our mess, all of our weirdness, all of our sin. He met us where we live on a silent night and made a way. Ok, let's talk about that for minute. I have presented an argument in support of the position that abortion is objectively wrong because it unjustly takes the life of an innocent human being. The lines of evidences that I appealed to were scientific (the identity of the unborn as a human life from fertilization) and philosophical (human beings have value by virtue of what they are not what they can do or how I feel about them). I also understand that hearing people argue for views you disagree with can be unpleasant. It bothers you to hear someone say you are wrong, just like it bothers anyone including me. I can get really irritated over people disagreeing with me about trivial things. It is natural to have emotional responses to discussions about all sorts of things, but especially about something as objectively important as abortion. Anytime someone disagrees with us and offers arguments for their position there are only a few options open to us in response. (1) We can quietly listen, consider their views, weigh the counter arguments, and decide they were wrong. (2) We can listen, consider, weigh, then decide we are wrong and adjust our beliefs appropriately. (3) We can listen, consider, weigh, and then decide that we simply lack sufficient information to come down on one side or the other. (4) We can offer counter arguments on the spot addressing the specific lines of evidence offered. All of those are perfectly appropriate. There are certainly counter arguments to everything that I have said today offered by genuinely brilliant people at an academic and sophisticated level. I've read them and learned from them, though I obviously found them less than persuasive in the end. I encourage you to find and read them and would be happy to point you in the right direction. But when you say that you are offended, all that you are doing is telling us how you are emotionally responding to what I am saying. I already conceded that we all struggle with our emotions in this kind of conversation, both in my original talk and just a moment ago, so you aren't adding anything to the discussion that addresses the substance of what was argued. Finally, and I'm not saying you are doing this, but when some people say they are offended what they are really saying is that I'm upsetting them so I ought to stop talking about abortion. I reject that all together. No one has a right not to be offended. Sometimes there are questions of such importance that we are compelled to engage in public discussion knowing that it will be upsetting to do so. Imagine how you would feel if someone suggested that you shouldn't be allowed to argue for positions with which they disagree simply because they are incapable of controlling their emotions. 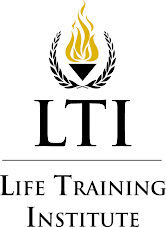 This is the first of a regular feature on the LTI blog where we will respond to questions asked on our LTI Facebook page. If you have a question you would like to ask please leave a comment in the thread there and we will pick one regularly to respond to on here. This week’s question was about overpopulation as a justification for abortion. In the western world it's especially common to hear that the overpopulation of the world provides justification for abortion. After-all if we can’t adequately live in the world as it is right now why should we burden the world with even more human beings? Before I explore this argument in any depth it’s important to address the assumption that the world is in fact overpopulated. For a further exploration into the claim that the world is already vastly overpopulated Danny Dorling’s book Population 10 Billion is worth investing in to deal with a number of misunderstandings and falsehoods in this area. It's not at all clear that the world is in fact overpopulated and there remains debate amongst the scientific community to when or if this will happen. However, what is clear is that the failure of countries and individuals to take responsibility for how they live and how they use the world’s resources of which they are meant to be stewards of will continue to take its toll. Christians must take responsibility for how they live as good stewards and acknowledge that how they choose to live can and does affect other people. The world’s population will continue to increase but is abortion a morally permissible way of solving it? I think it would be fair to describe this argument as eugenic; it’s the idea that certain people within our society should be encouraged to limit how many children they should have (or whether they should have any children at all). Abortion therefore functions as a means of population control. This argument is primarily directed at those in poverty it essentially encourages the poor to procure abortions so that what space is left can be used by those with more desirable traits, and who aren’t poor. So rather than responding to the factors that lead to poverty or investment in the better use of our resources it is argued that abortion should be encouraged to help the rest of us. It should be pointed out however that if this is ‘solving’ the problem of overpopulation then it is only a euphemism for eliminating those who are seen as the problem. This approach is the moral equivalent of throwing a grenade at a mouse. The argument leaves us with what really appears to be a false dilemma; either abortion or overpopulation that results in global poverty. It may be true that many people’s preferred standard of living could be affected by an increasing population but selfish motives for a particular standard of living alone do not justify abortion. Life is far more than the sum of how many nice cars one has or how many nice restaurants one can frequent. To put one's pleasure above human life is morally impermissible. However, this is the one consistency with all arguments for abortion; they are always for the benefit of someone other than the preborn. This false dilemma also leads to a number of other morally problematic conclusions. For instance if an infant, disabled, irreversibly sick, or elderly human being is a burden in an already allegedly overpopulated world shouldn’t killing them also be justified? From a consequentialist view they cannot yet or never will contribute to society in any materially meaningful way which means they are currently burdens taking rather than giving. From this perspective if the world were in fact overpopulated their killing should also be justified on the basis of its better consequences for those who can contribute. It could be argued that the infant will one day contribute in a material sense but the same argument would work for the preborn so the advocate of an already overpopulated world cannot accept this. This leaves the advocate of the argument from overpopulation in a moral quandary, because most of those who advocate this argument rightly don’t support the killing of infants, disabled, irreversibly sick or elderly human beings. Yet their view supports the logic in for it; unless, that is, they are assuming something about preborn human beings. This exposes the question begging nature of the whole argument, there is a hidden assumption that there is something about preborn human beings that provides moral justification for their killing. Like all arguments in support of abortion the argument hinges on the moral status of the preborn. If the preborn aren’t fully human and the subject of personal rights, especially the right not to be intentionally killed for the benefit of another, killing them should be permissible if the preborn are not of sufficient moral value. In this instance the argument must be supported by a defence of the assumption that there is a morally relevant difference between preborn human beings and those that have been born before it can be accepted. If the person who uses this argument cannot do so then they must explain why the argument from overpopulation does not also equally support the killing of infants, disabled, irreversibly sick or the elderly if resources are so scant in this overpopulated world. As Francis Beckwith has said ‘if the unborn are fully human, then this is also a good argument for infanticide and the killing of all humans we find to be financially burdensome or emotionally taxing.’. 1. Current assumptions on overpopulation are unfounded or unproven. 2. It promotes a eugenic view of human life. 3. It singles out families in poverty. 4. It equates ‘solving’ the problem of overpopulation with eliminating the most vulnerable human beings in our society. 5. It promotes a false dilemma by suggesting that we must choose between overpopulation and abortion. 6. It promotes a standard of living above human life. 7. It suggests that the poor must make space for the rich. 8. If followed to its logical conclusions it suggests that the killing of infants, disabled, irreversibly sick and the elderly can be justified. 9. Killing those who cannot or won’t contribute to an overpopulated society could be morally permissible. 10. The argument is guilty of begging the question by making an assumption about preborn human beings that makes killing them morally permissible. 11. The whole argument hinges on whether the preborn are fully human beings and a subject of rights, it assumes not without any justification. 12. The questioner must explain why their argument does not equally apply to infants, disabled, irreversibly sick and the elderly. 13. It leads to absurd moral conclusions. 14. Even if true it does not support the pro-choice conclusion that abortion is a fundamental right that can be exercised for any reason throughout pregnancy. As I am writing this, a character on an episode of the old sitcom Bewitched is claiming that women in the pioneer days gave birth during lunch and were back at work in the fields by late afternoon. Modern women are simply making something complicated that is naturally easy. I know this is shocking to suggest, but it may be that childbirth is not so naturally easy as a character on an old sitcom would have you believe. Dellapenna begins with an interesting introduction on the odd nature of human childbirth in comparison with other animals. He notes several differentiating factors including our large brains combined with a narrow pelvis designed for walking upright, the inability of women to bend enough during childbirth to remove the baby alone, and the inability to do certain tasks alone like unwind the umbilical chord if needed or clear mucus out of the baby's mouth. These all require the human birth process to be assisted. Other mammals can give birth in seclusion, but when humans do so, Dellapenna argues, we probably face the highest incidences of fetal and maternal death of any mammal. As a result, assisted delivery has been a part of the human birthing experience for as far back as we have records. Why does this matter to the history of abortion? Because midwives and what passes for doctors throughout history (I will give ample reasons in the next few posts for my mocking what people used to call doctors) have been intimately involved in child birth in a way that other members of the community have not been. Dellapenna acknowledges that it can be taken as axiomatic that as long as women have been getting pregnant there have been women so desperate to avoid having a child that they would risk just about anything to end the pregnancy. And who would these desperate women go to for help? Those people most identified with pregnancy; midwives. Part of the new orthodoxy is to assure us that abortion has not been the social and moral taboo that people like me try describe it as today. Dellapenna points out two curiosities in regards to our historical records concerning midwifery that seem to raise questions about that claim from the outset. The two are so intermingled that it does no real good to enumerate them separately. Midwives practiced medicine in a time when medical knowledge was deficient at best. They experimented with herbs, oils, and other techniques to assist in labor and pain management. Given their total lack of knowledge of microorganisms, the importance of sanitary conditions, and the impact of numerous environmental and physical factors on the efficacy of any solution it is understandable why people would have limited basic expectation from their midwives. Dellapenna quotes historian David Hunt as saying, “[i]t was hoped that she [the midwife] would cut her nails, wash, and remove the rings from her hands before beginning.” Even though there seems to be evidence that midwives were safer than doctors, it is not surprising to learn that women and children did die during lboth pregnancy and labor under the care of midwives, and, as there is little so dear to most properly functioning emotional beings as family, it is understandable why midwives developed an unsavory reputation. As a response to this reputation Dellapenna says, “It is no wonder then that even the earliest regulations enacted for midwives included requirements that midwives demonstrate themselves to be 'of good character' and prohibited them from certifying the cause of death of someone under their care (mother or child). Ecclesiastical regulations requiring midwives to have licenses from the church expressly forbade abortion and infanticide”. So what? Remember the scene in A Few Good Men (spoiler alert) with Colonel Jessup (Jack Nicholson) on the stand. He claimed the he ordered all of the marines not to “Code Red” Santiago (the victim) and ordered Santiago to be immediately transferred from the base the very next morning to protect him. At the same time, he claims that his orders are always followed. Lt. Kaffee (Tom Cruise) sees some inconsistencies in this story. If Santiago was to be transferred why didn't he pack or call anyone to give them the good news? If Col. Jessup's orders are always followed, why was it necessary to transfer Santiago to protect him? Kaffee asks, “Why the two orders?” The events are much more consistent with Jessup being the bad guy who is lying to cover up the truth of what happened. One could get the impression that a certain point in the new orthodoxy has been conceded in all of this discussion. Abortion, whether it was accepted or despised, has been common and was a normal activity for midwives. That point will get more attention in the future but we can address it now with one final lawyerly moment from Dellapenna as we close out this post and move on to the next section. Either way, they fit in the new orthodoxy about as well as Jessup's two orders in his explanation of the events in A Few Good Men. I hope you can forgive the double exclamation points in the title, but I have learned of a tragic circumstance that effects each and every adolescent person in Michigan seeking medical care! Such restrictions of medical care have the potential of delaying surgery that is best performed early on and have the potential of harming not only women, but adolescents of both sexes!! (Sorry, but I thought it needed another double)!! Let me lay out the problem. There is a certain procedure that is routinely performed on adolescents in this state, but legal and professional restrictions have made it darn near impossible to such a procedure done at all! Since it is done on so many of our young persons, it would stand to reason that we would eliminate all barriers to this important medical procedure, but it turns out that under the guise of "safety" and "informed consent", the restrictions are outrageous! Second, adolescents under 18 are required by law to have their parent's consent before they have this procedure done. Can you believe that! Requiring a child to actually have their parent present is an insult to the privacy and decision making process of 14 year olds everywhere! Why can't we simply trust children to make their own decisions? Third, for those adolescents who can actually get their parents to consent to the examination, let me describe the Draconian consultation! First, an imaging study is taken, and the poor child and parent are forced to see the result of the film and actually listen to the possible complications of the surgery! Then the "doctor" performs a physical exam and answers any question they have. What a waste of time and a barrier to care! Then there is an actual waiting period of at least 24 hours before the procedure is done!! Lastly, for every patient who is somehow successful in weaving their way around the litany of regulations and barriers, the "doctor" actually charges a fee to this procedure done. I'm not kidding! Real money! This may be the worst restriction possible! If you haven't figured it out, I'm not talking about abortion access. I'm talking about access to routine third molar surgery. These "restrictions" that I mention are dealt with every single day by my own patients, in the office where I practice. Yet the same type of standards, when applied to those adolescents seeking abortion care, are seen as some horrific barrier to care. The recent ruling about the restrictions in Texas makes this point. The question is this: what is a more impactful event in the life of an adolescent, third molar removal or a surgical abortion? If we have standards and regulations for patient safety for those seeking wisdom teeth removal, why do we remove them for teens seeking abortion?